There is a fundamental relationship between authority and knowledge: the entitlement to know, to speak, and to act relies upon claims of expertise, power and experience. This conference aims to bring researchers together who are currently engaged in research concerning the nature, form and function of authority and knowledge socially, culturally, politically, and institutionally. We welcome papers that address the multifaceted ways in which claims to authority and knowledge permeate everyday social life, political understandings and practices, and policy reform (people, policy, politics). Another foreign coach of an Australian national sports team has been ushered to the overseas departure terminal. Having overseen the team’s qualification for the 2014 World Cup in Brazil, the Socceroos’ German coach Holger Osieck has been sacked only eight months out from the event. Still, Osieck’s successor will have more time to get organised than Darren Lehmann. The former Australian player replaced South African Mickey Arthur as coach of Australia’s cricket team only two weeks before commencement of the last Ashes series in England. Wallabies coach Ewen McKenzie, who also once played for the team that he now coaches, took over from New Zealander Robbie Deans in July this year. Deans’ failures included his countrymen winning the 2011 Rugby World Cup and an unbroken series of Bledisloe Cups. Is there a pattern emerging here? Could it be that foreign-born coaches, so often the epitome of cosmopolitan sporting sophistication, are now being supplanted by home grown talent? Debates about nationality in sport are perennial, and extend far beyond the passports of coaches. Sport’s most prestigious national and international competitions are awash with capital from the media, sponsors, spectators and governments. This creates a ruthless, restless search for the best athletes, supported by the most able coaches. For this reason, a global sport labour market has developed that I and colleagues describe as sport’s contribution to the New International Division of Cultural Labour. This is the apparatus through which athletes and coaches flow around the world, free of the confines of the individual nations that spawned them. Sporting mobility has many dimensions. It involves young footballers from Africa and Australasia – and baseballers from Central America – supplying inexpensive and often-exploited athletic labour to cost-inflated sport markets in North America, Europe and East Asia. Or, as has recently been alleged in Australia, it may entail “journeyman” footballers and coaches moving into low-profile leagues around the world in order to fix matches at the behest of illegal gambling organisations in third-party countries. At the top end of the global sport labour market there are elite players and coaches plying their trade in countries that pay handsomely to retain them. Their employers are haunted by the fear that they will be lured across borders by ever more extravagant rewards. This geographical fluidity of personnel varies across sports and competitions. For example, there is negligible movement of Australian rules footballers between countries and there are few foreign players in Sheffield Shield cricket. The reasons are fairly obvious – the former lacks an international professional presence and the latter is a low-profile, poorly remunerated domestic competition. By contrast, Australian players and coaches in rugby league and cricket substantially populate, respectively, the UK Super League and the Indian Premier League. In Olympic sports such as athletics, swimming, and cycling, there has also long been a vigorous trade in coaches in both directions. What do sport fans and the sport media make of this fly-in, fly-out sporting workforce? Their reactions typically display the ambivalence attending a certain pride at a local player or coach making it in the big wide world, but also a sense of loss at the diminishing domestic sport scene. Similarly, hiring an international marquee player or a renowned coach validates Australian sport’s global status, but also prompts concerns that importing overseas talent deprives locals of opportunities and ultimately stunts the development of domestic sport. Sporting success tends to soothe such discomfort. But its absence invites little sympathy and, frequently, provokes hostile judgement. In the specific case of soccer in Australia, the game’s development was long retarded by its close association with the world beyond its shores. For the xenophobic, the non-Anglo migrant ethnic bedrock of football symbolised a lack of commitment to its newfound, New World home. The positioning of multicultural broadcaster SBS as the“home of football” confirmed the suspicions of those who demanded a closer affinity with the traditional Anglosphere. There was also a corresponding inferiority complex about the quality of the local game, meaning that the appointment of foreign coaches to the national team was favoured. It has now been confirmed by Football Federation Australia chairman Frank Lowy that a local will take charge of the national team. But it is the sport’s troubled history that reveals why the strength of calls to appoint an Australian as Socceroos coach is indicative of the comparative health both of multiculturalism and of the world game in Australia. 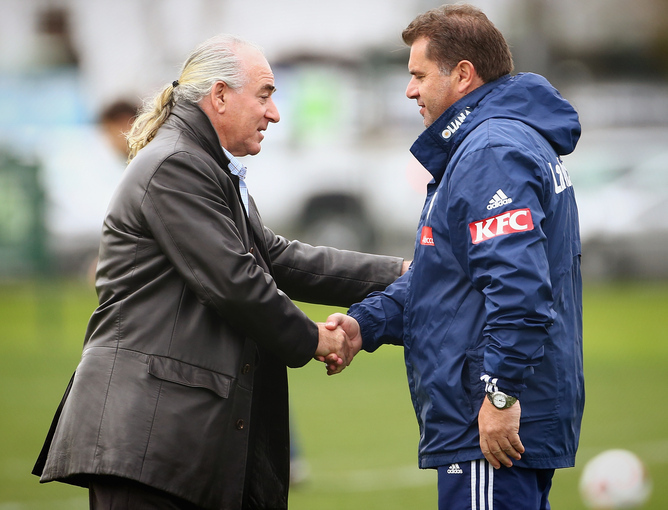 Conventional advocacy of the recruitment of star overseas coaches such as Guus Hiddink has been overshadowed by arguments in favour of the likes of Ange Postecoglou andTony Popovic – respectively Australians of Greek and Croatian background. The once-bemoaned problem is now the suggested solution. 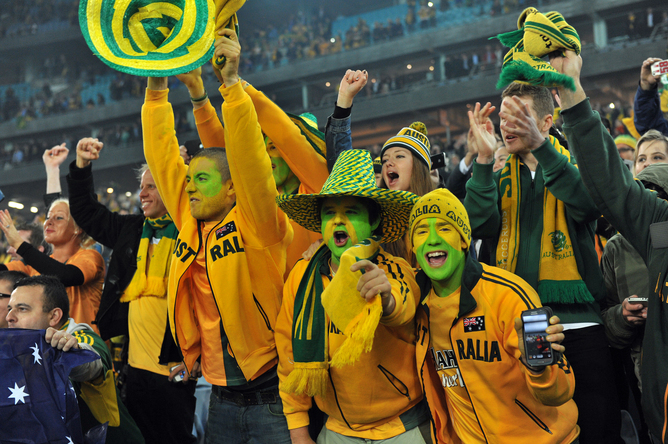 As it prepares for its third consecutive World Cup appearance and experiences a surge of interest in its domestic A-League, soccer in Australia occupies a mid-market position in world sport, attractive to itinerant and settled sports workers alike. This is something of an historical turnaround for a nation more accustomed to being a net exporter of its best personnel to Europe. But, paradoxically, the demand for a home-grown coach may also betray a tinge of xenophobia. Having forsaken a foreign white knight or “rainmaker”, it is likely that more tolerance of failure will be temporarily extended to a coach who is “one of us”, and not the caricatured globally mobile gun for hire with no greater investment in the national soul than their latest sizeable paycheque. Lingering doubts that a foreign coach’s heart isn’t really in it (or, worse, that they’re a Trojan horse) can be soothed by a belief that a local will have a deeper, more intuitive understanding of the players and the domestic game’s traditions. The home-grown coach might buy a little more time and sympathy, but if unsuccessful on the unforgiving field of play, the call of the global will be heard once more. Culture connects and inspires individuals through shared patterns of meaning, myths, rituals and representations and shapes institutions and histories. It is neither an abstract ideology nor a tangible social structure. It is intimately entwined in the shaping of social life and human action, and simultaneously emerges from them. Cultural sociology recognises and studies the autonomy of culture, the textuality of social life and the establishment of specific (semiotic) mechanisms through which culture does its work. This one-day symposium engages with recent developments in cultural sociology. It is hosted by the La Trobe University Department of Sociology and Anthropology and will feature the work of members of the department (including Peter Beilharz, John Carroll, Rae Wilding and Sara James), and cultural sociologists from around Australia: Barbara Evers (Murdoch University), Margaret Gibson (Griffith University), Brad West (Uni SA), Gary Wickham (Murdoch University). Additionally, La Trobe cultural sociology postgraduate students will present their most recent work in the field (Harry Paternoster, Lana Chung, Marcus Maloney, Scott Doidge). There will be ample opportunity for networking and developing ideas for collaborative work with presenters and attendees. The event will be free of charge, however please note that it will be self-catered. Please email t.sauter@qut.edu.au to register your interest in attending. Please feel free to contact us for information or to add anything to the blog.